Located in Paris (16th Arrondissement), Hotel Duret is within a 10-minute walk of Bois de Boulogne and Palais des Congres de Paris. 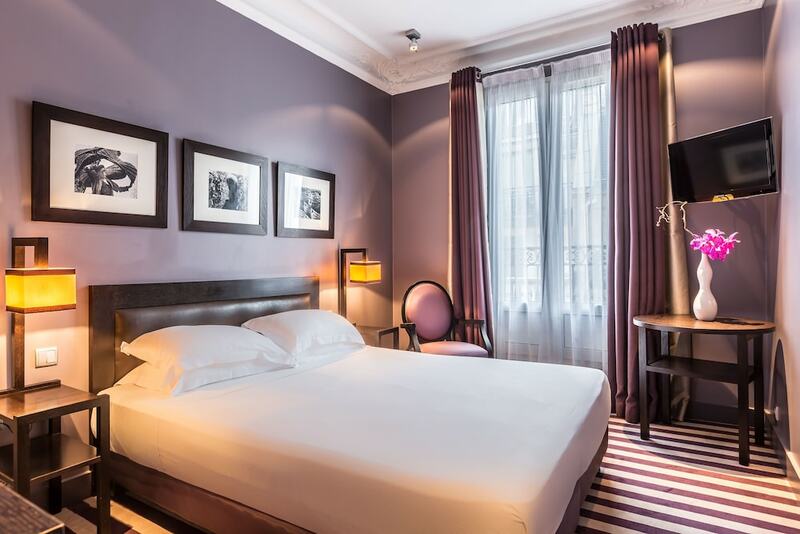 This 4-star hotel is 0.5 mi (0.8 km) from Arc de Triomphe and 0.5 mi (0.9 km) from Champs-Elysees. Make yourself at home in one of the 27 air-conditioned rooms featuring minibars. Complimentary wired and wireless Internet access keeps you connected, and satellite programming provides entertainment. Private bathrooms have designer toiletries and hair dryers. Conveniences include safes and complimentary newspapers, and housekeeping is provided daily. Take advantage of the hotel's room service (during limited hours). Wrap up your day with a drink at the bar/lounge. Breakfast is available daily from 7 AM to 10:30 AM for a fee.